Regular exercise helps protect the body from chronic disease, improves mood and reduces the chance of injury. Cardiovascular exercise is important for maintaining and improving your health. It strengthens the heart, flushes toxins from the body and burns calories. Type – Elliptical, Treadmill, Stairmaster, Jump Rope, Aerobics classes, etc. Enjoyment – Do cardio exercises that you enjoy. Exercise should be fun! 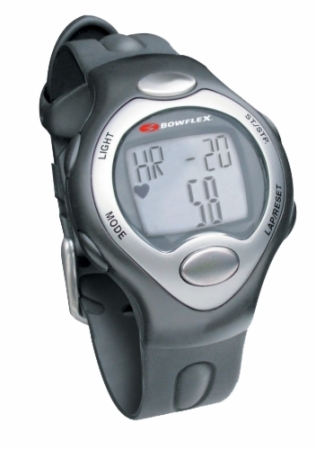 Bowflex Classic Strapless Heart Rate Monitor Monitor Your Heart Rate Without A Chest Strap! The great thing about cardio and exercise period is that your body continues to burn calories after you leave the gym or finish your workout! You’ll continue to burn calories at an increased rate for up to a few hours after your workout. This is known as the “after burn” effect or Excess Postexercise Oxygen Consumption (EPOC). Performing cardio exercise is a double win!